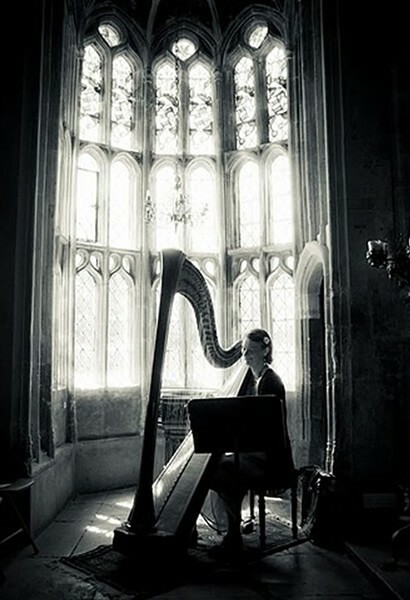 Bristol harpist, MF Harp, was booked to play at Kelly and Gareth's wedding reception on Saturday 9th April 2011 at Tortworth Court in South Gloucestershire. 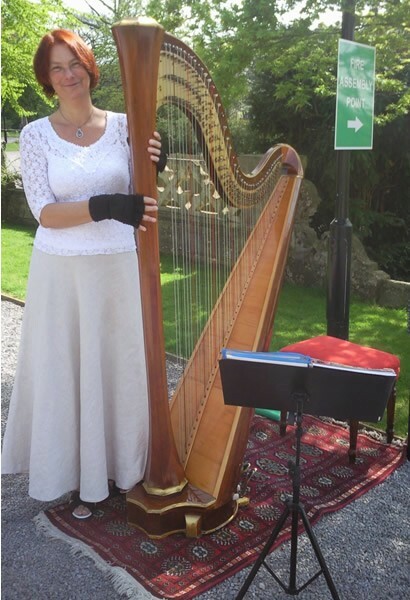 Marie-France entertained guests with background harp music during an outdoors drinks reception, and throughout the wedding breakfast. 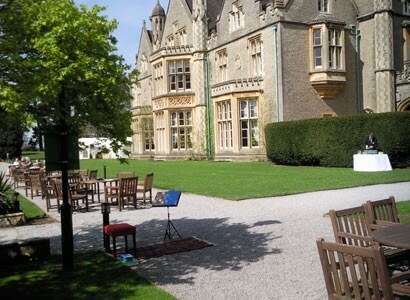 Harpist MF Harp was booked to play at Kelly and Gareth’s wedding reception on Saturday 9th April 2011 at Tortworth Court, a Four Pillars hotel in South Gloucestershire. 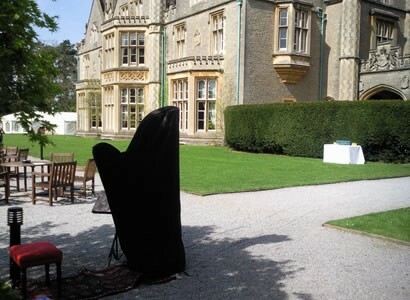 Marie-France played background music to guests while they enjoyed an outdoors drinks reception in the sunshine, and for a further 2 hours during a wedding breakfast held in the orangery. A beautiful sunny day from my attic bedroom window and I am booked to play at a wedding at Tortworth Court in South Gloucestershire. What to wear? I think it will be all white with a purple cardigan in case the wind gets up, as I will be playing outside for the drinks reception. 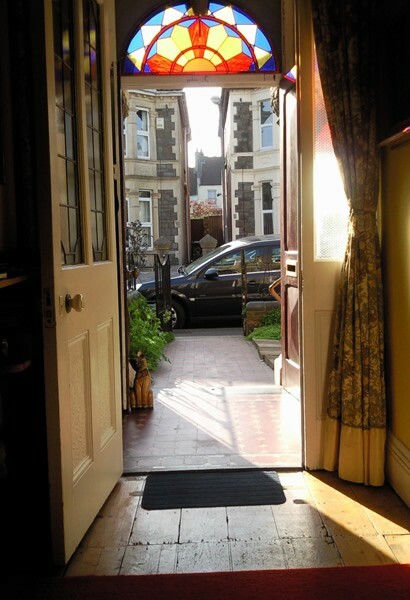 Luckily I have a large entrance hall which is ideal for trolleying the harp in and out of the house. I respond to my e-mails in my office whilst having breakfast and awaiting the 10.00 am customers. Phone call to say that they need to cancel the appointment, which is good because it gives me more time to prepare for the day. I need to leave the house at 11.45 am to get there for 12.45 pm, for a 1.15 pm start. 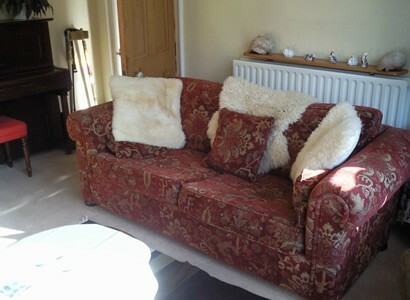 I will have lunch at 11.00 am, a chicken stew made the day before, which just needs re-heating. 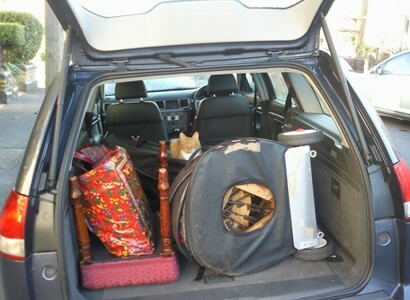 Irving the cat keeps me company, and Tazzy the ginger kitten just wants to come with me! 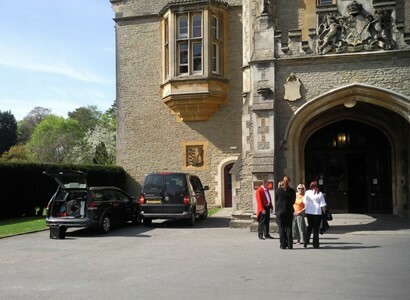 I am greeted at Tortworth Court on my arrival. I have played the harp at weddings for years and we all gather around for a quick natter and catch up. 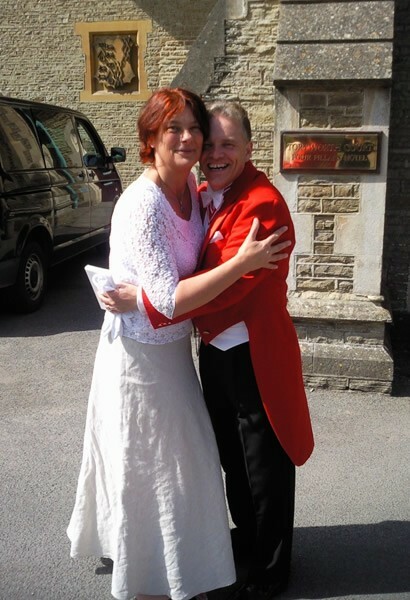 It is always great if a toastmaster is around, as I know that things will go smoothly and I will also be looked after. 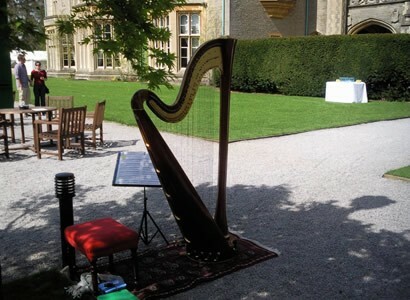 I set up the harp away from direct sunlight and wind on the terrace in the garden. I like to wear my black mittens which keep my hands smooth, but I think this is really just an illusion. How I would like to have a roady to set up my equipment for me. I set up the amp in the orangery. 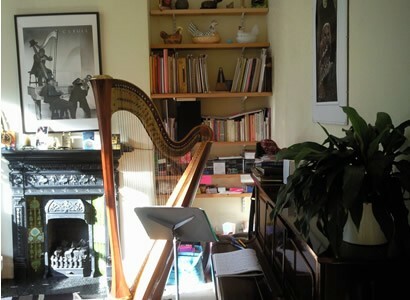 It can be difficult to play the harp and take photographs at the same time. 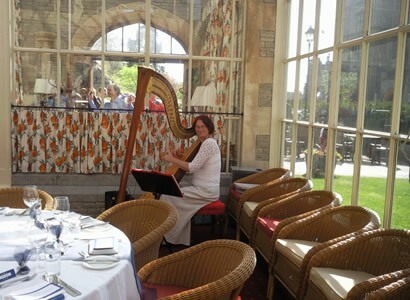 During the drinks reception I get lots of lovely comments from the wedding party on how beautiful the harp sounds. 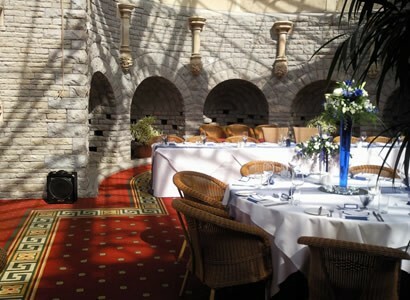 After an hour I move in to the orangery, ready to play during the wedding breakfast. A waiter kindly takes some photographs as I play the guests in. As I finish playing my last tune the toastmaster invites everybody to show their appreciation, and I pack up quickly before the speeches commence. 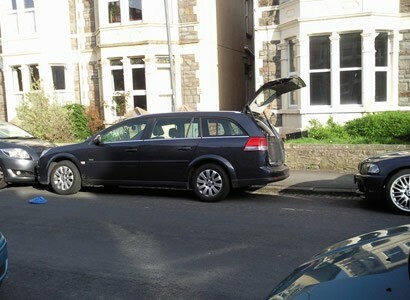 I arrive home and there is a wee parking space with just enough space for me to unload my harp. It has been a tiring day. 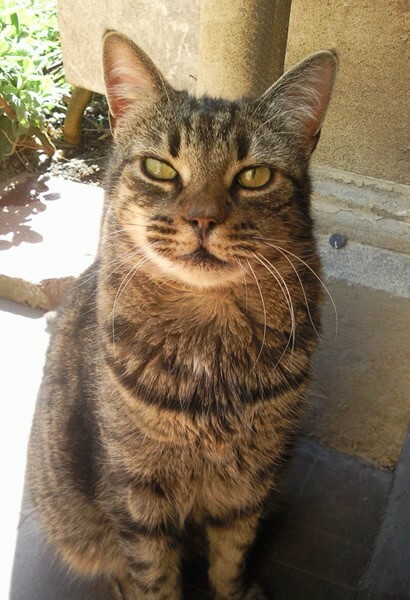 Me and my cats have refreshments and dinner. 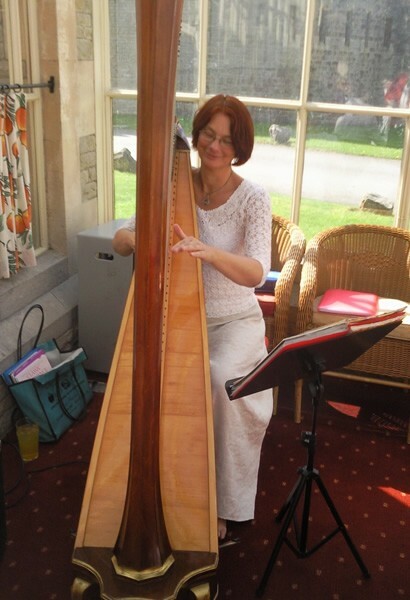 Harping for weddings is more than just sitting looking pretty and relaxed, and playing away. 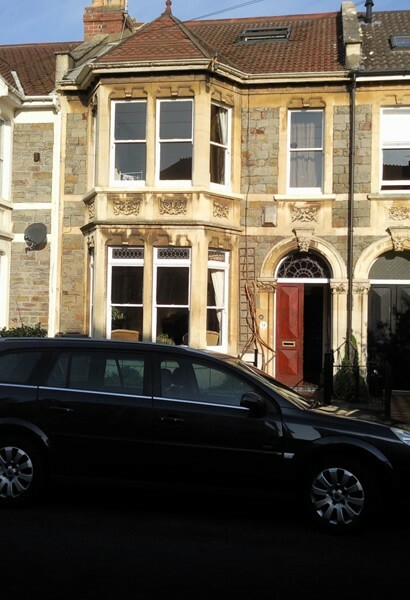 Transporting a harp for 20 years in Bristol, one has to be fit. 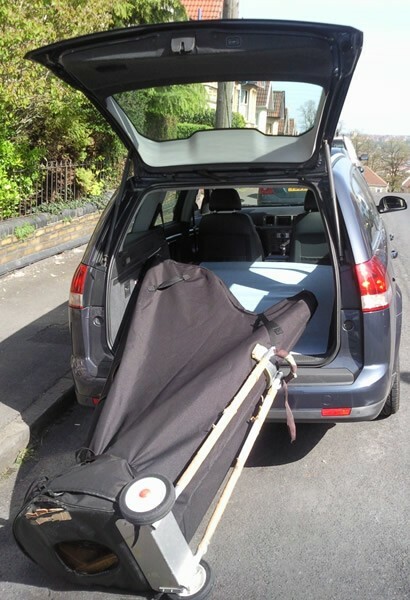 I have a perfected technique of lift and I slide the harp into the back of my Vauxhall Vectra estate car, which I recently bought second hand with an electronic tail gate. I just love the electronic tail gate!!!! 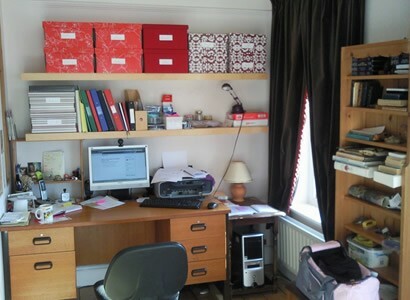 Being self employed I have to be well organised and manage my time well so that I can keep on top of paper work, phone calls, e-mails and web design. I shall soon be releasing my own meditation/healing/relaxing harp music CD, which is my latest project. I am really excited about recording my own music.